Choosing the right digital camera may not be an exactly easy task. There are several factors to consider. For sure, the digital camera should have satisfying image quality. Then, you may want something that is compact and portable. You may also want wireless connectivity. Is zooming power important to you? How about the video recording? These are some things that you may want to consider in choosing between Nikon Coolpix S7000 and Nikon Coolpix S9600, too. Coming from the same series, S7000 and S9600 may seem to be quite similar to each other. S9600 is more expensive than S7000. Which one should you choose? Even though both models have been designed pretty much similarly like a typical digital camera, there are some subtle differences. Both are very slim, compact, and lightweight that you can easily slip them into your pocket or purse, but Nikon Coolpix S9600 is slightly bulkier and heavier than Nikon Coolpix S7000. This is most probably because of the larger lens; Nikon Coolpix S9600 has a bigger lens than Nikon Coolpix S7000. On the rear, you can also find minor differences. They each has a 3.0-inch color LCD screen, with the control and function buttons placed on the right side, but the placements slightly differ. Nikon Coolpix S7000 has a more intuitive layout, though, because the buttons are more properly spaced. As mentioned above, Nikon Coolpix S9600 has a slightly bigger lens than Nikon Coolpix S7000. With a 25 – 550 mm F3.4 – F6.3 Nikkor Wide Optical Zoom ED VR lens, Nikon Coolpix S9600 is able to provide up to 22X optical zoom. On the other hand, Nikon Coolpix S7000 utilizes a 25 – 500 mm F3.4 – F6.5 Nikkor Wide Optical Zoom ED VR which can provide up to 20X optical zoom. Indeed, S9600 has a slightly better edge than S7000, but the difference is not exactly huge. 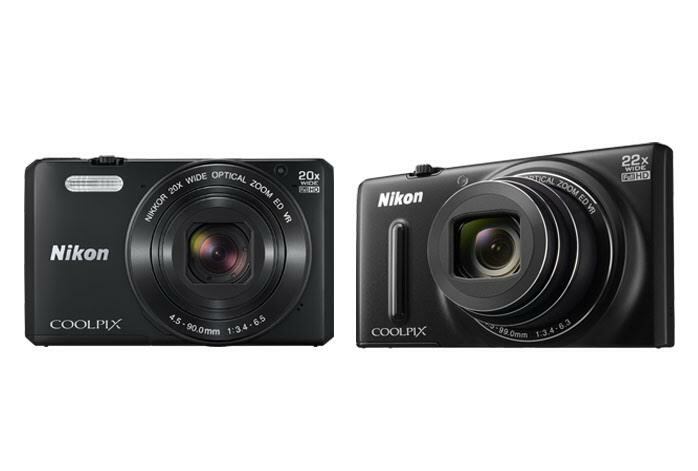 In terms of image quality, Nikon Coolpix S7000 and Nikon Coolpix S9600 are actually equal. One great thing about these digital cameras is that they don’t use the common 1/2.3” sensors; instead, they each utilizes a 16MP 1/3” CMOS low-light image sensor with 125 – 6400 ISO range. As the effect, they are able to capture astonishing images with excellent crisp and details. The colors are also full and solid. Additionally, Nikon Coolpix S7000 comes with 5 white balance presets and 18 scene modes. Nikon Coolpix S7000 comes with a better layout and additional presets and scene modes. Considering the more affordable price, we recommend you to choose Nikon Coolpix S7000 in order to get the fullest value out of the money. The only advantage of Nikon Coolpix S9600 is the 22X optical zoom, but this is not crucial to everybody.